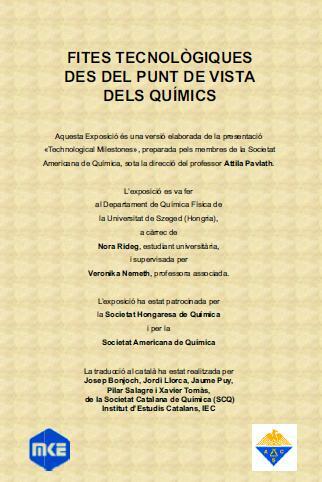 Welcome to the official website of the Catalan Society of Chemistry (SCQ). The Catalan Society of Chemistry is an association that brings together chemists from the Catalan Countries. It is an open, dynamic society mainly focussed on educational and scientific activities relating to chemistry. The SCQ is a meeting point for all chemists from the Catalan Countries which endeavours to enhance the role of chemistry in society in general. √ To bring together and represent chemists from the Catalan Countries within European scientific societies and organisations. √ To promote chemistry among young people. √ To enhance the image of chemistry and its contribution to science and social welfare. √ To foster interdisciplinary knowledge of ideas and innovations making it possible to advance the understanding of chemistry and its applications. √ To encourage the dissemination of chemistry in all social spheres. √ To involve Catalan public institutions and enterprises in the enhancement of scientific education among society.